Toyota's new robot glides around like R2-D2 from Star Wars movies. It is devoted to a single task. It picks things up. HSR is short for "human support robot." It comes with a single mechanical arm. It can grasp objects of various shapes and sizes. It can also pick up smaller items with a tiny suction cup. It doesn't have other tricks in its skill set. But it does have a computer panel on its head. It is for surfing the Internet. A person can also access the robot from another computer and use it like a camera-phone. Kouichi Ikeda is its engineer. He is serious about using the robot to help around regular homes. It will be for people with disabilities first. Then it will be for the elderly in general. Picking up is especially hard for people with spinal disorders and other conditions that hold back the ability to stoop down and grab, he said. "Although it can only do one simple task of picking up, it's already making disabled people quite happy. We're just getting started. 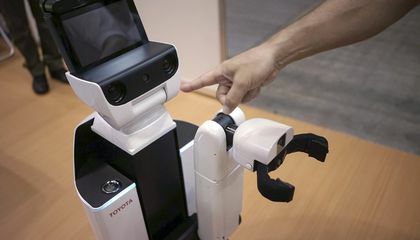 But eventually we want it to enter people's homes," Ikeda said at a show for health care technology. It was held in Yokohama. The city is southwest of Tokyo. Nearly 40 percent of Japan's population will be 65 or older by 2060. The rest of the developed world and some developing nations also will follow that track. Toyota is counting on the demand for robot helpers to grow. A robot like HSR is also ideal to replace service dogs. Those animals go through special training. Then they help people with various disabilities. Those include people who use wheelchairs, have balance issues or may be prone to seizures, he said. The revamped model is expected to enter universities next year. It should also enter research facilities and businesses. It will be involved in partnerships to develop more applications. The hope is that the robot can enter homes as quickly as possible. One drawback is cost. Mass production is needed for the price to come down. Toyota did not share the current price. Ikeda showed how HSR can be controlled fairly easily. A user tapped on a tablet device. The robot then picked up a TV remote-controller. The 4-foot-4 tall robot has several cameras. They include two on its head. They look like its eyes. There are also sensors on its body. The robot can scoot quietly around in all directions. There was no attempt to make its design cute. That is different from the Pepper childlike robot. It recently went on sale in Japan. 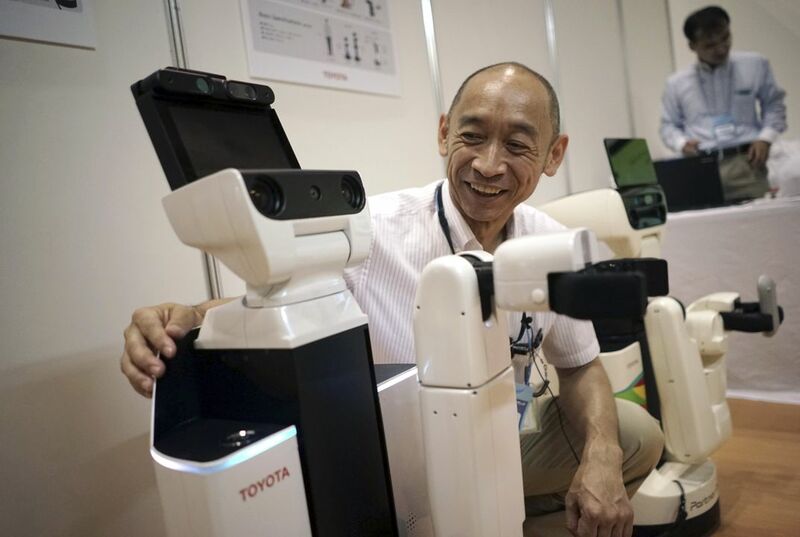 It is from the Japanese Internet company Softbank Corp.
Toyota has long been working on robots. The company even has a human-shaped one. Its fingers are skillful enough to play the trumpet. Another plays the violin. I think that this is a good robot. I like the point that it helps elderlies and disabled people. I also love the point that it means that dogs don't have to be trained and work as service dog. One thing I thought was interesting is that it has multiple eyes. that was hardest quiz i took so far :( . but its not over ill get better :) . I think robots are a good idea to help people clean and pick up things .